Staurolite is a silicate with composition (Fe,Mg)4Al17(Si,Al)8O44(OH)4 . This sample is about 12x16 cm and is from Monte Campione, Uri, Switzerland. 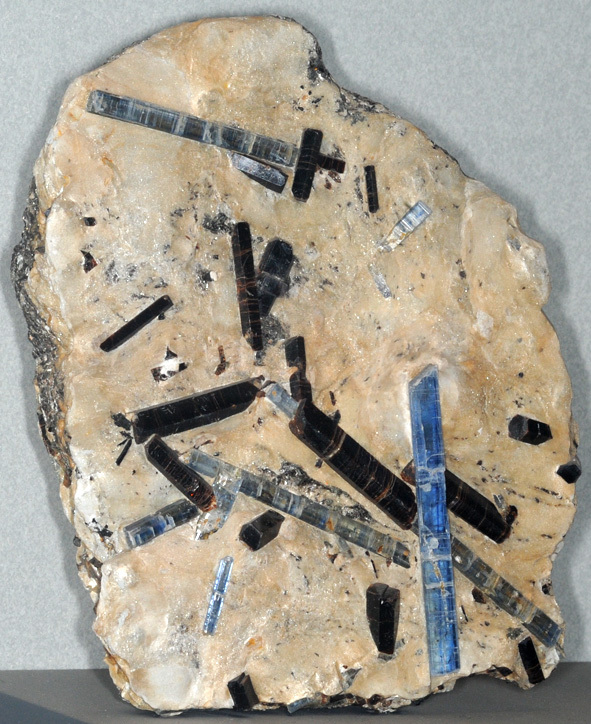 The staurolite is the background material and the embedded slender crystals are kyanite . This sample is on display at the Smithsonian Museum of Natural History.